A tip from the FBI about a “martyrdom video” that included a threat of an attack on Canadian soil sparked a massive police operation in southwestern Ontario that ended with the death of a 24-year-old terror suspect, the RCMP said Thursday. 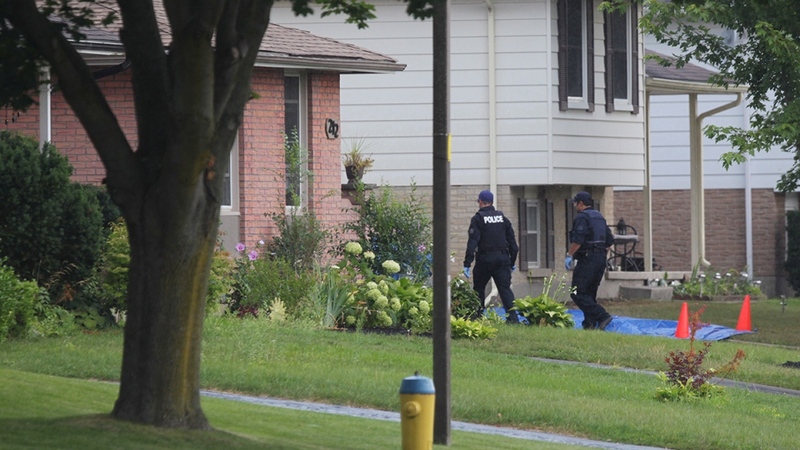 Aaron Driver, who police say was planning an imminent attack in an urban centre, died Wednesday during the police operation in Strathroy, Ont., a community about 225 kilometres west of Toronto. 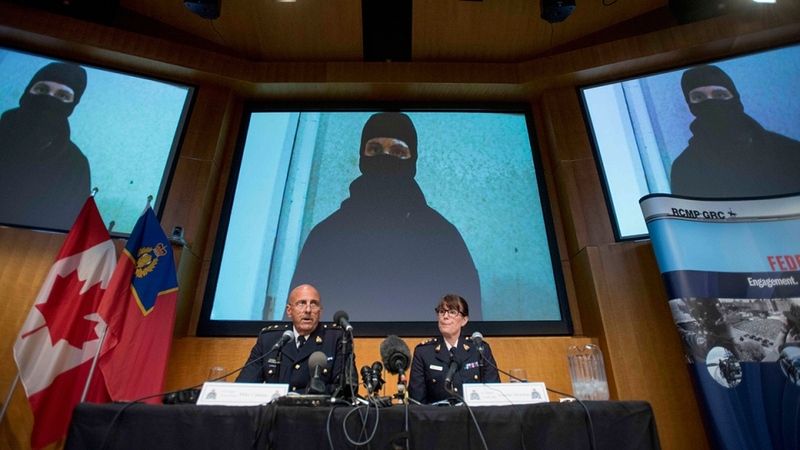 At a news conference in Ottawa on Thursday, the RCMP showed video of a masked individual expressing support for recent terror attacks in Europe and praising jihadists. He says that Canada has received “many warnings” and warns that bloodshed is the only solution. RCMP deputy commissioner Mike Cabana said police received information on Wednesday morning that “the attack was supposed to be taking place within the following 72 hours and was likely to target an urban centre” during the morning or afternoon rush hour. “We immediately took action to ensure the public’s safety,” he said. Police and security agencies were able to quickly determine that Driver was the man in the video, Cabana said. Driver was known to police and had been under a court order not to associate with any terrorist organizations. As police and SWAT teams surrounded Driver’s residence, he managed to quickly get out of the house and jump into a waiting taxi, where he detonated some kind of an explosive device, the RCMP said. Police also discharged their firearms, but the exact cause of Driver’s death is not yet known, pending an autopsy, RCMP commanding officer Jennifer Strachan told reporters. The taxi driver suffered minor injuries in the explosion, she said. Police also said they don’t know where Driver was planning to go in the cab. 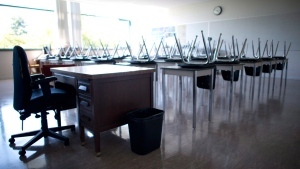 Investigators believe he was acting alone. Asked why it took a tip from the FBI for Canadian authorities to act on the terror threat, Cabana said that American and Canadian intelligence agencies regularly share valuable information. This was just one example of a successful collaboration of various police and intelligence agencies, and a “clear demonstration” of their abilities, he said. Public Safety Minister Ralph Goodale praised all the law enforcement agencies involved for their “exceptional work.” He also thanked the FBI for its assistance. “It’s important for Canadians to know that whenever credible information is obtained about a potential terrorist threat, our police and security agencies take the appropriate steps to ensure the safety of our country and its citizens,” Goodale told reporters Thursday afternoon. Goodale urged Canadians to “remain alert to the dangers of terrorism” and report any suspicious activity to the National Security call centre at 1-800-420-5805 or the local police. Prime Minister Justin Trudeau also commended the RCMP on Thursday. On behalf of Canadians, we thank the @rcmpgrcpolice for their work in Strathroy yesterday. Your service ensures our safety each & every day.